Check out the fabulousness of Designing Trendz newest theme, Under the Sea. We love the colors, the details and the scale of these looks. White, contemporary, and submerged, this lavish tented wedding reception was set deep beneath the sea. Clear Chaivari chairs hugged rectangular tables dressed in simple white linens, round mirror chargers, and crystal candlesticks. 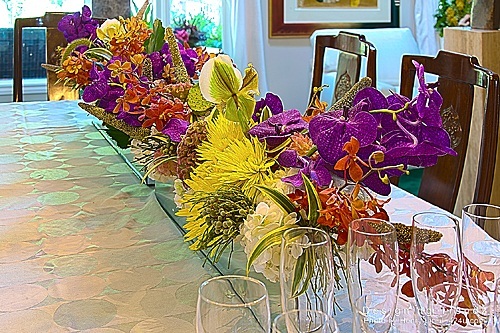 Centerpieces consisted of spectacular tall pilsner vases with explosions of exotic flowers found on top. Fuchsia, lime green, orange, yellow and purple blossoms, added a subsurface splash of colour to the white tent walls that surrounded guests. 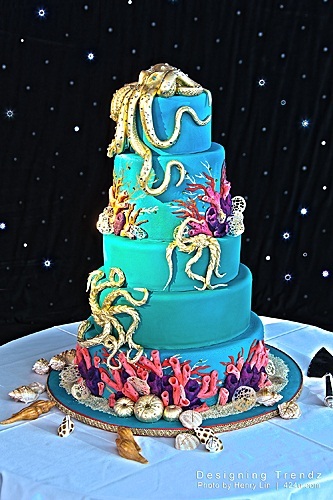 Designed by Designing Trendz’s creative director, Craig Gruzd, the wedding cake entailed golden octopuses studded in blue rhinestones that hung off tiers and, colourful coral reefs among edible sea shells that flourished along the cakes base and up its ocean blue canvas. This was truly an underwater expedition full of fantasy, colour and splendor! 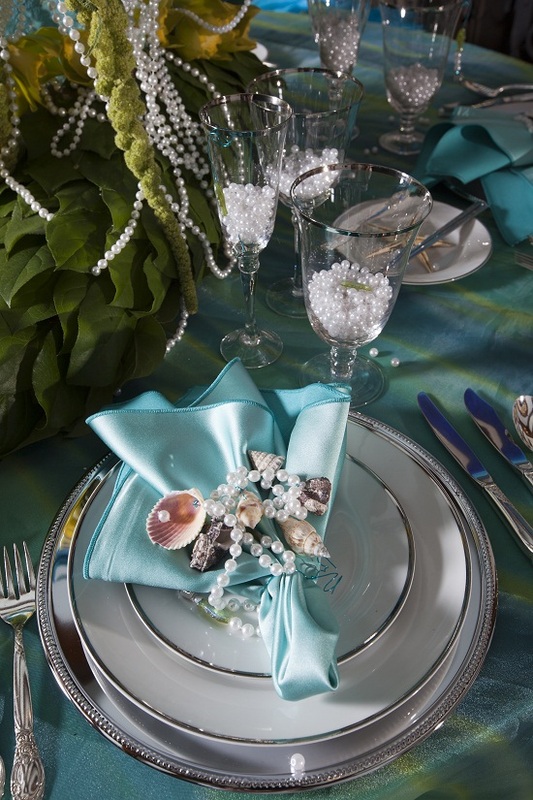 In Keeping with the Under the Sea theme, Designing Trendz has brought to life the folklore of theses mythical and magical creatures found deep beneath the sea with the Mermaid Table Top featureing ocean blues, the glittering white foam of breaking waves, and the greens and yellows of underwater vegetation. 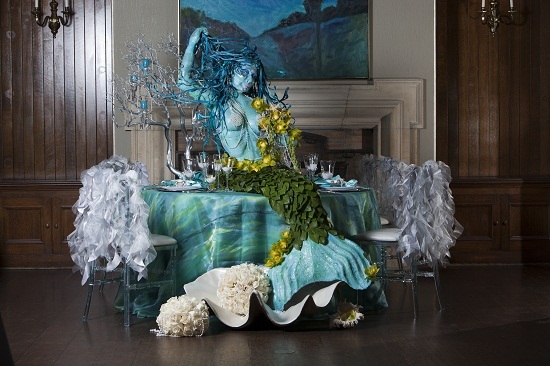 Mermaids have been sought out for centuries, but look no further as this real-life-size Siren, created for an exclusive photo shoot, is made available for viewing and dreaming pleasure.